Gold is one of the currencies in Red Dead Redemption 2 Online. It’s the premium currency – you can use it to buy special, exclusive items that aren’t sold for in-game cash, or you can get around your lack of in-game dollars by spending gold. Since this is only the beta, you still can’t buy gold using real money, but that’s going to be the main way of obtaining it for many people. This guide will show you how to get gold nuggets in RDR2 Online without spending money. 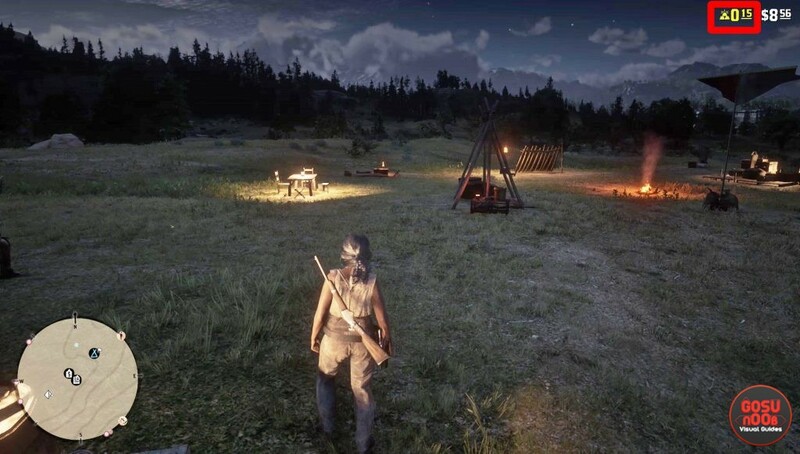 How to get gold in RDR2 Online? The easiest way, and the one Rockstar is going to push the most, is spending real money. Gold bars are this game’s shark cards, and you will most definitely be able to buy them in the store once it goes live. Since they’ll supposedly only be used to buy camp decorations and weapon skins, they shouldn’t provide some players with an unfair advantage over others. Thankfully, there will be ways to get gold by playing as well. This is important, since some items can only be bought using gold. Even if you don’t buy gold, you’ll see the counter in the upper right corner of your screen, next to the dollars. If you pay attention to it before and after you finish a mission, you’ll notice you’re getting rewarded with small quantities of gold for every mission you complete. For example, you may get 0.01 gold for a completed quest, which is a long way from the 19 bars needed for the super fancy outfit. However, you can also get gold by solving treasure maps. According to several reports, treasure map caches sometimes give out 0.10-0.15 gold. We haven’t had the chance to try out most of the PvP activities, but maybe even those drop a few nuggets here and there. We’ll update the guide when we know more.